Blog: Skype for Business | Avcomm Solutions, Inc. 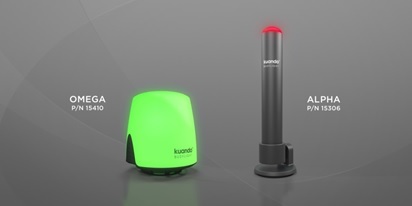 The concept of presence notification is not new – Mitch Friend of Plenom reports that he has heard of workers using red and green flags or even red and green Solo cups to alert co-workers of their availability; however, with the Kuando Busylight, user presence is automatically updated and is always reliable. It rings and flashes on incoming calls, preventing missed calls. 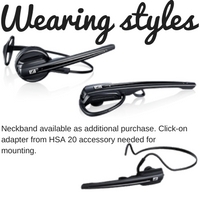 It provides visible presence in the open office, preventing interruptions. Plenom offers two Kuando Busylight designs: the Alpha (MSRP $44.95) can be attached to a desktop monitor or laptop with the included double sided tape. A magnet, also included, can be used to attach the Alpha to the top of a metal cubicle wall. 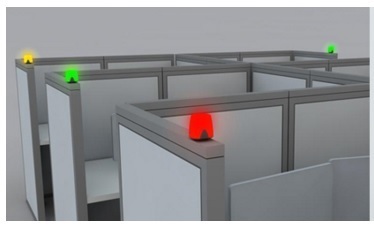 The Omega (MSRP $44.95) is ideal for a cubicle arrangement, as it has a larger light. It attaches to the top of the cubicle with double-sided tape. Download Plenom’s free software when you’re ready to set up the device: Plenom Software. This software is used with both Kuando Busylights, as well as the KuandoBOX. There are 8 different ringtones to choose from, including traditional telephone sounds and a dreamy melody called “Fairy Tale.” These sounds are built into the Kuando Busylight so there is no conflict with the PC’s sound settings. And, it is easy to quickly adjust the volume of the ringtone. Click on the Busylight icon on your desktop and the menu will pop up (see image to the left). 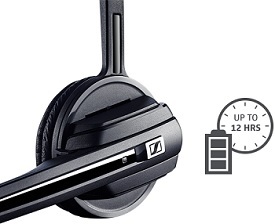 Choose your preferred volume level, or choose Mute to silence the ringer altogether. Kuando Busylights are currently compatible with Microsoft Lync/Skype for Business and will soon be compatible with Cisco Jabber (March release). 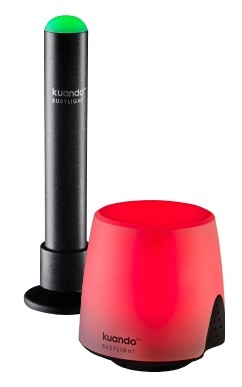 System requirements for Kuando Busylight: Windows XP SP3, Windows Vista, Windows 7 or Windows 8; Microsoft Lync 2010/2013 or Skype for Business; .NET 3.5 framework. Kuando Busylight is not compatible with Mac. The modern workplace can be a very social environment, a positive place for collaborating on projects and supporting comaraderie; however, studies show there is a loss of productivity in open offices that can result in employee frustration and stress. The chance for uninterrupted work time is greatly reduced when barriers such as walls and doors are removed. With the proliferation of Microsoft Lync/Skype for Business, as well as the pervasive open office environment, workers are exposed to interruption and missed calls. Plenom has provided the perfect solution with the Busylights: Alpha and Omega. A one-year warranty gives you peace of mind. If your staff has complained that they can’t focus on their work; they don’t hear calls or IM notifications on Skype for Business/Lync, then Kuando Busylight is the right solution for you. Give us a call and we can choose the best Busylight for your office environment!